After clicking on Finish, the passwords and the Password Resets (in accordance with the selected options) are created for the entries. A password and a Password Reset are explained in the following example. 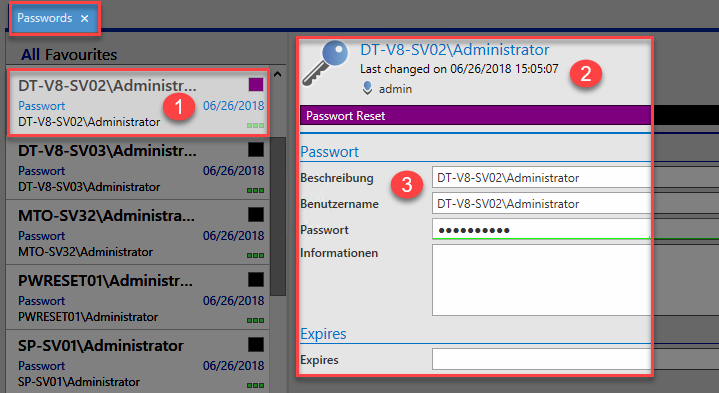 Another password is created in the Password Reset module and is required for an associated Password Reset. 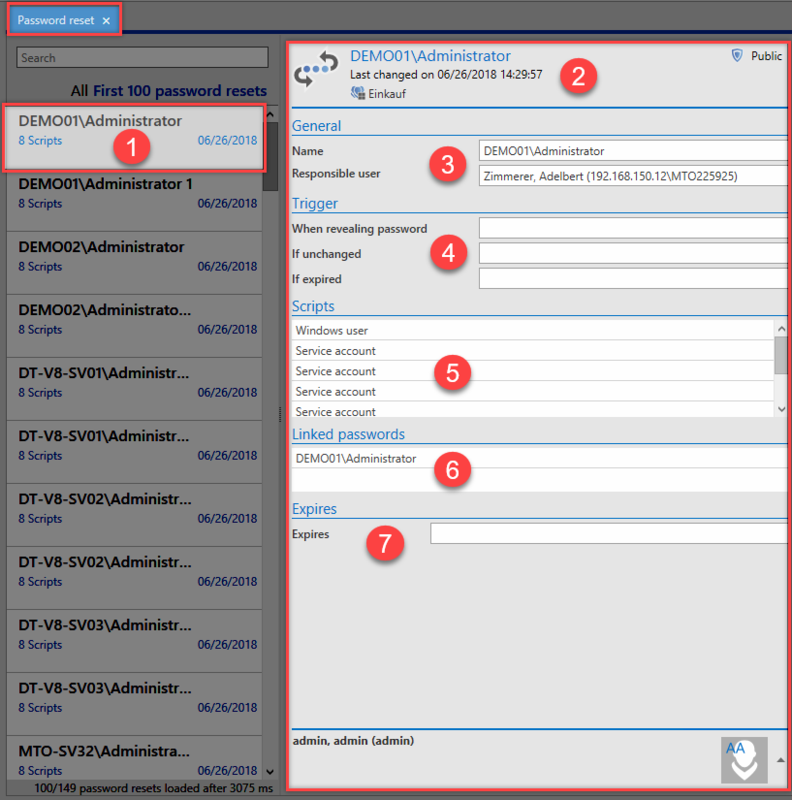 This data can then be used to create a Password Reset for the user for the discovered Discovery Service entry. The Password Reset is activated via the corresponding trigger that has been set.